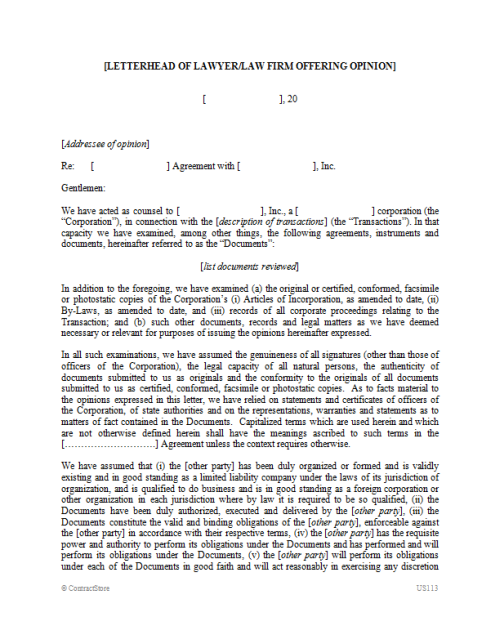 This document is designed for use by a lawyer or law firm that is rendering a legal opinion to another person in connection with a transaction for a client. The form contains clauses for the most commonly-requested legal opinions, such as due incorporation, power to enter into transaction, due execution and delivery of transaction documents, etc. It also contains language providing for customary exclusions from the scope of the legal opinions. This form is intended for use in any state in the United States. 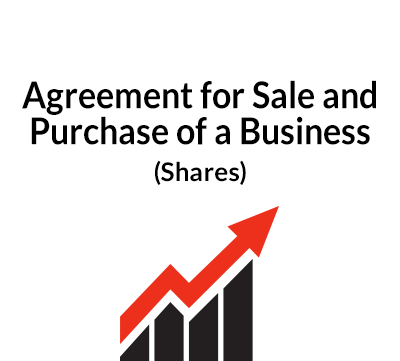 This form provides a form of legal opinion, intended to be designed for use by a lawyer or law firm that is rendering a legal opinion to another person in connection with a transaction for a client. The opinion usually relates to the rendering lawyer’s client. Legal opinion practice can be extremely complicated, but many legal opinions are relatively straightforward and can be rendered in just a few paragraphs of text. This form is a relatively straightforward one but can be customised and expanded for more complex opinions. 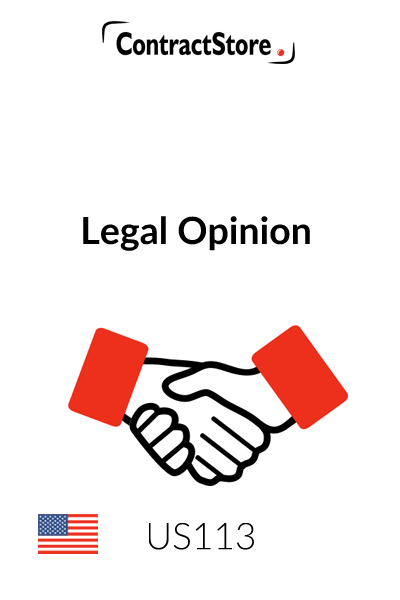 As with all legal opinions, the renderer of the opinion must exercise caution to make sure that the opinions can be backed up, legally and factually. Legal verification may take the form of appropriate checks with government agencies (e.g., a state secretary of state to ensure that a corporation is duly incorporated) or the appropriate state or federal statutes or case-law as warranted. Factual verification may take the form of reviewing signatures on documents for authenticity and “back-up” certificates from officers of the subject corporation as to matters not within the renderer’s first-hand knowledge. Copies of all back-up materials should be retained in the rendering lawyer’s files. This form is intended for use in any state in the United States. However, as is the case with any agreement for use in the United States, regard must be had for the possibility of variations in the laws from state to state. In the context of commercial relationships, the laws do tend to be substantially similar among the states, but there are areas of substantive difference. In this regard, the state of Louisiana stands out in particular, as it bases parts of its commercial and other laws on the civil codes rather than on the common law. As a result, legal opinions requested in connection with a party or proposed transaction located in Louisiana may be different from those presented in this checklist. This form provides a good starting point for preparing a first draft of a legal opinion. However, as with use of any form, it is very important to take the time to read the form in its entirety to ensure that it is customised appropriately for use in your individual situation. For all but the simplest of transactions, it can be anticipated that some customisation will be in order. The opinion should be typed or printed on the professional letterhead of the law firm or lawyer that is rendering the opinion. The addressee of the opinion should be specifically identified, as the opinion is stated to be for the benefit of the addressee only and no other person. For similar reasons, the transaction should be described specifically to ensure that it is relied on only for the purposes of the subject transaction. The corporation that is the subject of the opinion should be identified in the first paragraph, again to make sure that the scope of the opinion is clear to the addressee. 1. Due incorporation of the subject corporation and related matters. 2. Power and authority on the part of the subject corporation to enter into the transaction without causing a breach of corporate documents or any material contract, etc. 3. Due authorisation and approvals on the part of the subject corporation. 4. 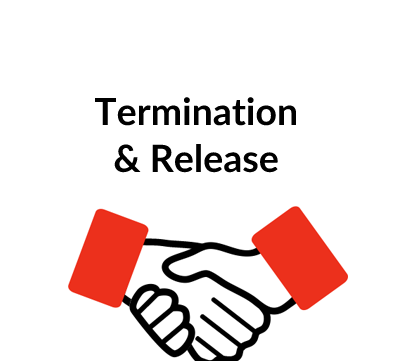 Due execution of documents by the subject corporation and binding effect against the subject corporation. 5. No judgments or defaults against the subject corporation. 6. No third party consents or government filings required. 7. This paragraph has been left blank for customisation – addition of other opinions as warranted. As mentioned above, each of these opinions should be legally and factually backed up by the lawyer or law firm rendering the opinions. A. Exclusion of the effects of the application of bankruptcy laws and principles of equity. B. Exclusion of the enforceability of certain common contract provisions that are customarily held unenforceable by the courts. C. Exclusion of certain rights that are, by law or contract, not assignable. D. This paragraph has been left blank for customisation – addition of other exclusions as warranted. E. No opinion is expressed as to any implied matters, and no obligation to update the opinion. The opinion concludes by limiting reliance to the addressee and stating the law applicable to the opinion (the state in which the opining lawyer is admitted to practice and U.S. federal law). The legal opinion should be signed by the lawyer or law firm rendering the opinion. If a law firm, many firms use the practice of “signing” the firm’s name rather than the name of the individual lawyer signing the document. The signatory should be a partner or other equity holder in the law firm, and preferably the person who will defend the opinion if a question is subsequently raised.